My Tires LOVE Nails and Screws! Believe it or not, I didn’t expect to be the blogger who’d write about his GTI every week. But purchases and events continue to give me something to say. 😉 This time, it’s tire repairs. Back when I built a subwoofer box for my Mk6, I opted to remove the spare tire and carry a plug kit and air pump in its place. People thought I was crazy, but I hadn’t needed any of the 30 tire plugs from the kit… until I got the GTI, that is. My first three punctures happened close to home. The tire pressure monitoring system definitely works! The kit sat in my garage for home repairs. However, my most recent puncture happened 50 miles away… and I could tell that it was a faster leak than the others. I found an auto parts store, bought a compact air pump, over-inflated the tire, and made it home for repair. I decided I wanted to make room to carry the repair kit in the car full-time, especially since we have upcoming holiday travel plans. You may recall that I made it a point to make sure that my GTI’s spare tire fit under my custom subwoofer panel. 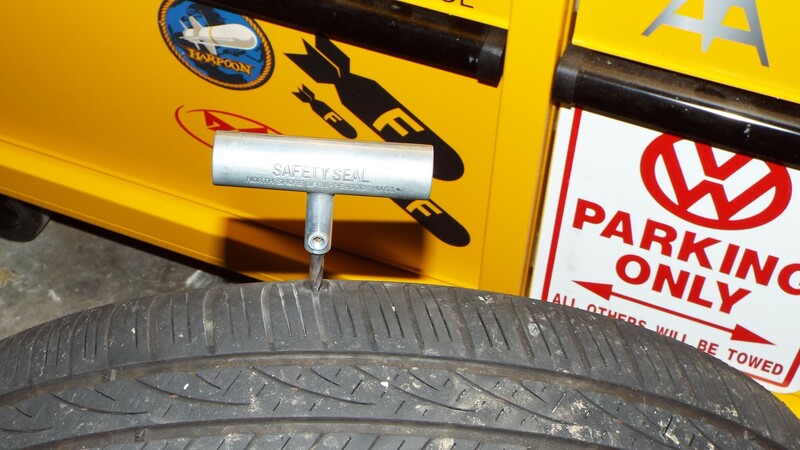 However, accessing and mounting the spare tire is a real PITA for “just a nail.” I also learned that the spare tire could not come out unless I removed the entire 68-lb subwoofer panel due to the way the trunk’s rear trim piece was made. My panel is not the problem. 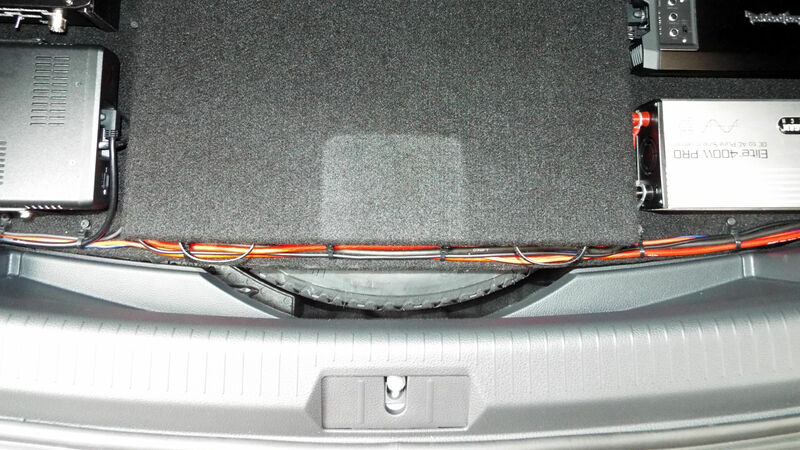 Even without the panel, the entire trunk floor has to come out, along with any cargo that is in the car, so that the spare tire can shift forward before being lifted rearward for removal. I replaced the rear trim panel with the trim panel for the Golf with full-sized spare, P/N: 5GM86345982V. It allows the spare tire to lift straight out. It’s a little unsightly to a perfectionist, but a very practical mod. See the photo and decide for yourself. Keep in mind that this area is usually covered by the trunk floor. Regardless, I still don’t want to have to deal with the spare tire unless I have a catastrophic tire failure. I recognize that plugs are not made for permanent repairs, but I’ve never had one fail. I’ve even seen a bundle of plugs hold air in a large hole from a tree root. I wouldn’t expect that to last. However, modern plugs seem to work well enough for small punctures, especially since I go through tires quickly enough to replace them before a failure happens. 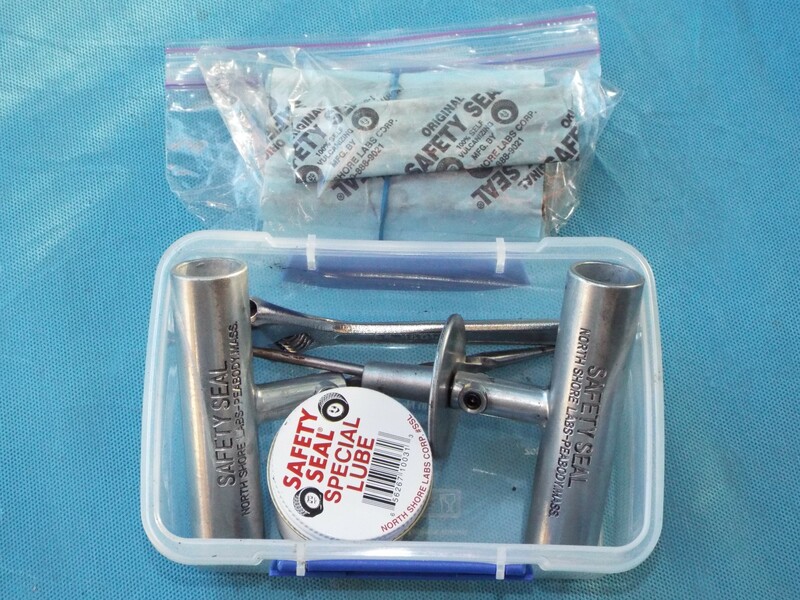 My choice of plug kit features all-metal tools, not cheap plastics that can break when I really need them to hold up. I moved my kit into this smaller box for easy packing in the GTI. 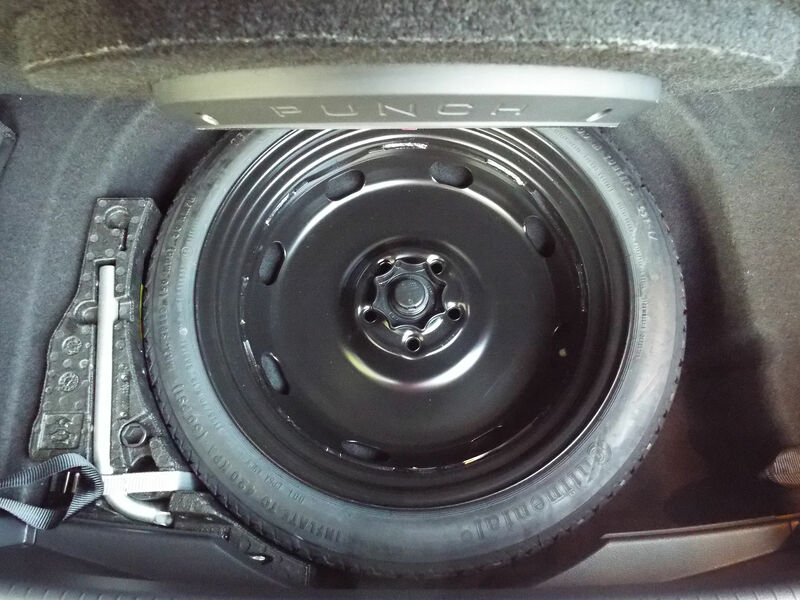 Here’ a look at the spare tire area. The air pump is in the left side pocket and and the plug kit is in the right side pocket; both are hidden behind the Canvasback cargo liner. See the photo album below for a better look. Perhaps nails and screws will stay away from my car now that I’m ready for roadside punctures. We’ll see. By the way, all four of my punctures happened in the outer row of tread, the area in which tire shops will not perform a “proper” patch. I understand why they won’t repair tires with damage that close to the sidewall. But I was not willing to replace relatively new tires when a plug would do the trick for a while. At my rate of driving, I suspect it’ll be time to replace these tires by next spring. I’ll let you know how the plugs hold up. This entry was posted in Problems, Product Review. Bookmark the permalink.